drive inn. it seems like the only time i eat lunch here is when a friend who used to live here comes back into town and they want plate lunch. for better or worse. but mostly for worse. 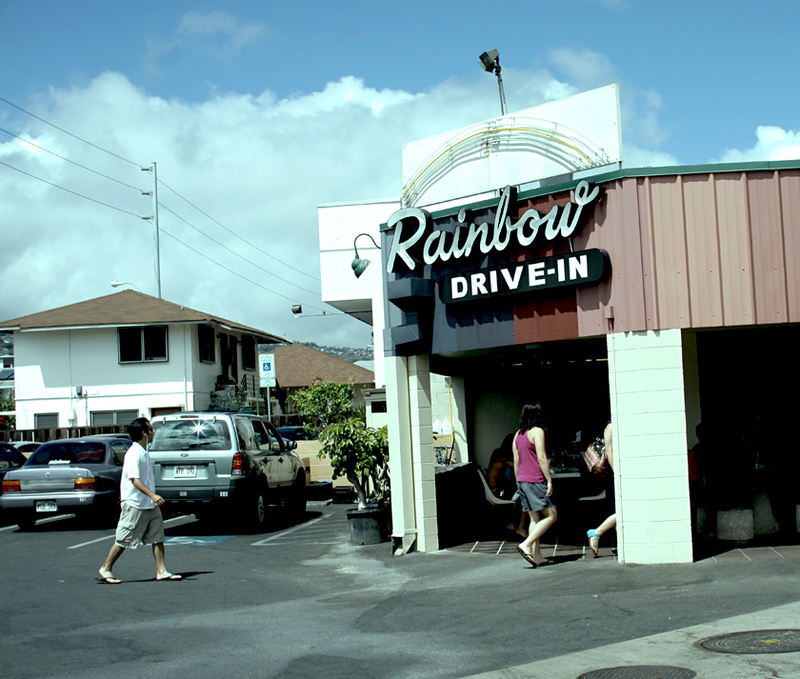 25 Aug This entry was written by aaron, posted on August 25, 2009 at 9:00 am, filed under scenery and tagged hawaii, old school, plate lunch, rainbow drive inn. Bookmark the permalink. Follow any comments here with the RSS feed for this post. Post a comment or leave a trackback: Trackback URL. Older: i love my friends. Newer: i love this color palate.